What would happen if a seventy-five year old woman decided to walk the entire Redwood Highway, a distance of nearly 100 miles, to attend her granddaughter's wedding? This is where our story begins, and the adventure Marie (Shirley Knight) encounters forces her to confront her past in a way she's been afraid to do until now. Something happened forty-five years ago, and she hasn't seen the ocean, or the Redwood forest since then. This is her chance, and though it's the most frightening thing she's ever done, Marie does not back down. 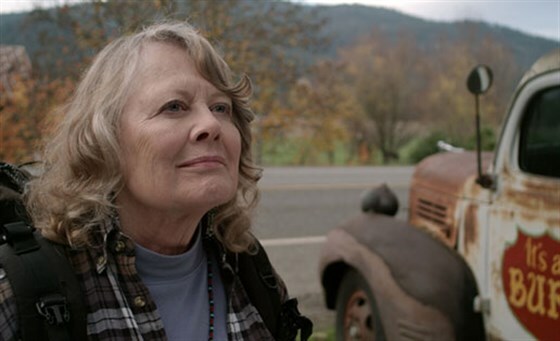 Along the way she meets Pete (Tom Skerritt), a kind woodworker who helps her open her heart and face her past. Just when everything looks dire, Marie finds the courage to see the journey through to the end and makes it to the wedding. This is a story that shows it's never too late to heal one's life, or have a great adventure. Two time Academy Award nominee Shirley Knight, film legend Tom Skerritt and indie favorite James Le Gros deliver memorable performances in this big-hearted film.